In Sarajevo cinema ”Meeting point” a solemn session of the Assembly of Association of Radio amateurs of BiH regarding the 20th anniversary of membership of BiH in the International Telecommunications Union was be held today. 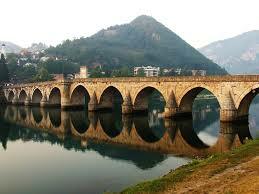 BiH became a member of International Telecommunications Union (ITU) on the 20th October 1992. ITU is an UN agency dedicated to information and communication technologies, and this agency is responsible for the global progress in communication among people. Apart from 193 countries, 700 private companies are also members of ITU, as well as regulatory agencies and universities. Through IARU (International Amateur Radio Union), Association of radiometers of BiH is a member of ITU. Apart from the solemn session, there awards will be given to radio amateurs who did the best job in 2012.